May 8th is the 128th day of the year (129th day in leap years) in the Gregorian calendar. There are 237 days remaining until the end of the year. On this page, we have placed information about May 8th, including famous people born on, historical events that occurred on, holidays and observances that fall on, and astrological connections of, this day. 1886 Dr John Pemberton begins selling Coca-Cola as a patent medicine. 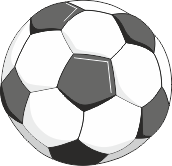 1898 Soccer: First games of the Italian football league system are played. 1912 Paramount Pictures is founded. 1945 V-E Day (Victory in Europe Day) marking the end of the Second Word War in the Europe. Celebrated in Russia and other former Soviet states, on the following day. 1984 USSR announces it will boycott the Los Angeles Olympics. 1984 Thames Barrier officially opened in London. V-E Day (Victory in Europe Day) marking the end of the Second Word War in the Europe. Celebrated in Russia and other former Soviet states, on the following day.